With Summer vacation right around the corner, I have started looking for fun activities and crafts for kids to keep my girls busy. Pipe cleaners and googley eyes are two things we always have in my craft stash, so these cute finger puppets are a great one to add to the 'I'm Bored' list! 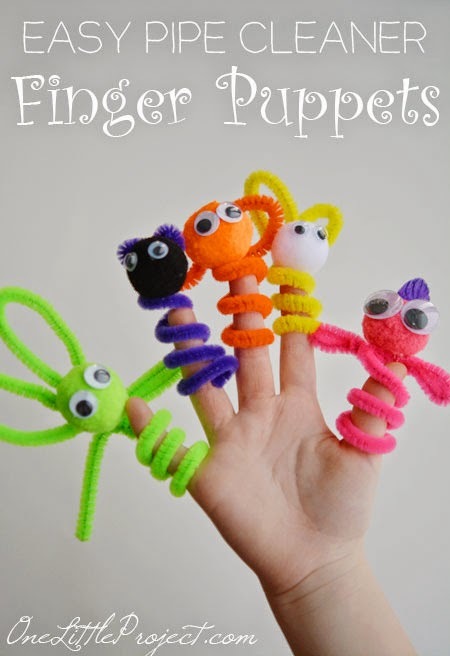 You can check out how to make pipe cleaner finger puppets over at One Little Project.